Here in SEPA we’re hiring a Hydrometerorologist. Permanent, full time, based in Perth, although other office locations may be considered. Flooding is one of this century’s biggest environmental challenges, and tackling it here in Scotland is a top priority for SEPA. 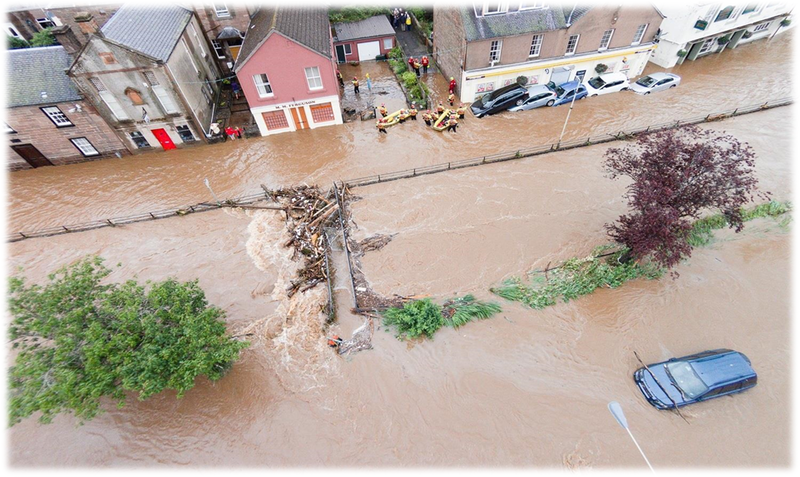 As Scotland’s national flood forecasting, flood warning and strategic flood risk management authority SEPA leads the way in flood risk management in Scotland and we are looking to recruit a Senior Scientist specialising in Hydrometeorology within the Flood Forecasting and Warning team. Flash flooding in Alyth, Perthshire, in July 2015. We’re here to help people, and this job more than plays its part. The aim of this role is to assist in the critical service of translating hydrological and meteorological research and science developments into operational practice. You will lead on science developments within the Scottish Flood Forecasting Service to enable future improvements to the service and its efficiency. Doing this requires a good science background and a real interest and understanding of how society must adapt and work within our changing environment. We are looking for dedicated, innovative candidates who have the right mix of technical and interpersonal skills, who are strategic thinkers with a relevant academic background, and most importantly have a can-do attitude and passion for enabling positive change. In this role you will be aiming to bring together challenges in meteorological forecasting to benefit hydrological predictions in surface water flooding, rapid response catchments and longer range flood predictions, providing guidance in the use of probabilistic approaches, and working with internal and external partners, including the Met Office. In exchange for these skills SEPA’s terms and conditions are exceptional. You will be expected to work 35 hours per week and we have a flexi-time scheme in place to support a healthy work-life balance. You will be given 28 days annual leave (pro rata) and seven additional public holidays. Further information on all our benefits can be found on our website. This entry was posted in Hydrometeorology, SFFS, Uncategorized. Bookmark the permalink.